Plastic Pollution Coalition member organization Made Safe has released a new Hazard List of the worst offenders of toxic chemicals across product categories, including what they are, where they're found, and how they impact human or environmental health, and aquatic or animal life. The list serves as a resource to help consumers avoid toxic chemicals in the products they use everyday, from baby to personal care to household and beyond. Included in the Hazard List are bisphenols, phthalates, and PVC, which are chemicals of concern found in many plastics. These chemicals may leech from plastics and act as endocrine disruptors. 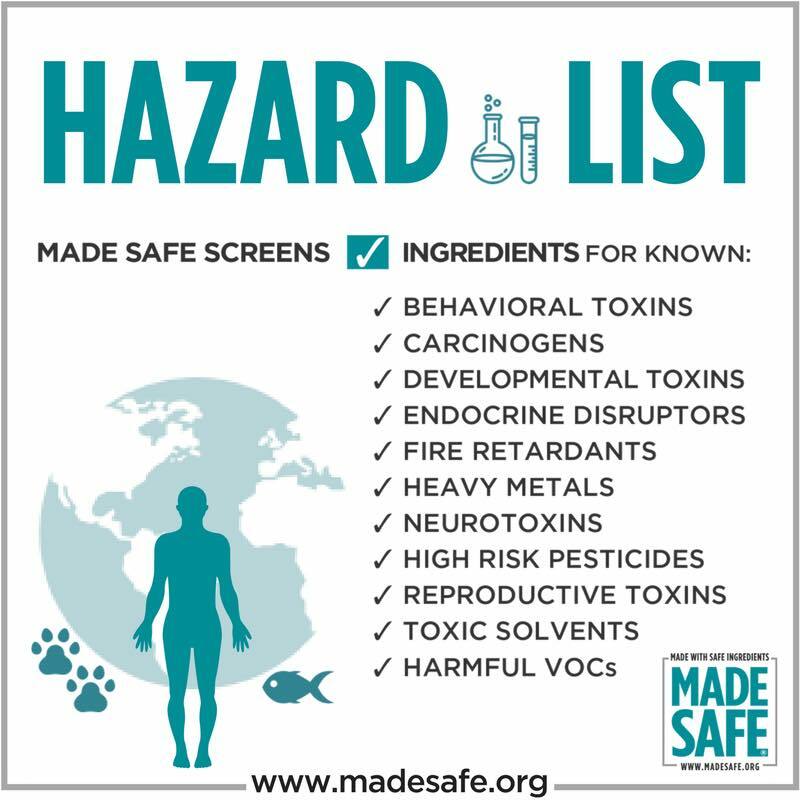 Made Safe is a nonprofit organization providing a comprehensive human health-focused certification for nontoxic products across store aisles. Made Safe and Plastic Pollution Coalition previously collaborated on The Healthy Baby Guide available for free download here. Newer PostEuropean Commission steps forward to cut single-use plastics; what will the U.S. do?